Florence is a picturesque labyrinth of breathtaking places. There’s always something new to discover and travelers will never tire of its splendor. Make the most out of your trip and don’t miss the ultimate must-see hotspots in the city. 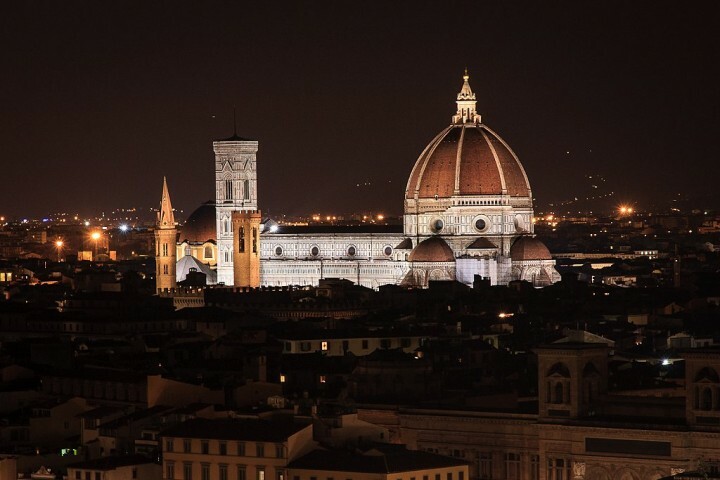 Check these Most beautiful places to visit in Florence before you go. The most prominent sight in Florence, Il Duomo is the city’s main church. 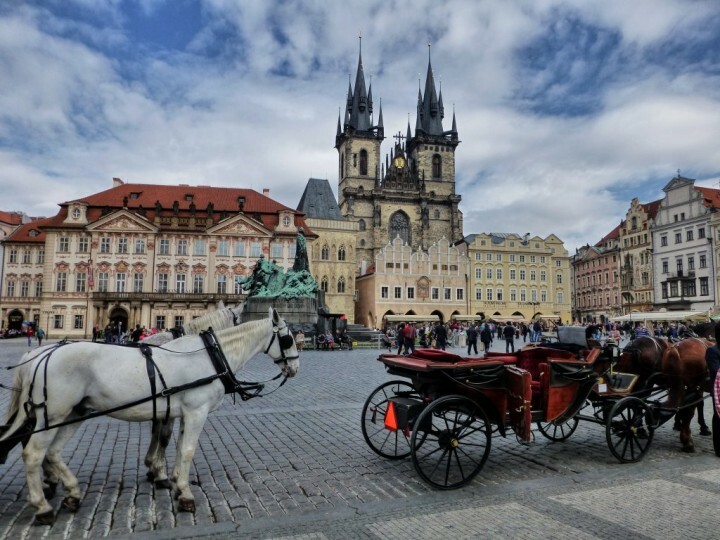 The 600-year-old Gothic structure is a must-visit destination with a striking collection of precious art including Giorgio Vasari’s 16th century frescoes of the Last Judgement. 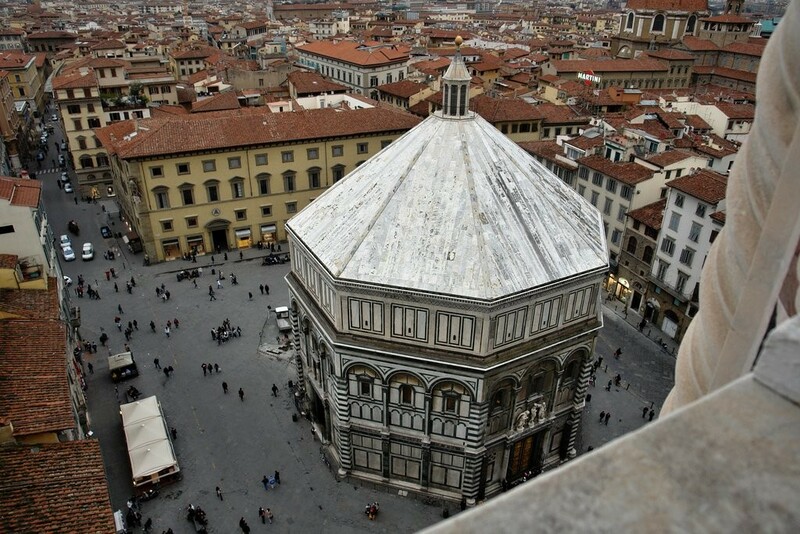 Climb up to the top and enjoy a sweeping view of Florence from a unique perspective. One of the most beautiful bell towers in Italy, perhaps in the whole world, Giotto’s Campanile can be found next to Florence Cathedral. This Gothic structure was built between 1334-1359, started by Giotto and finished by Andrea Pisano. The bell tower is lined with colored marble, decorated with sculptures by Donatello and his assistant Rossy. 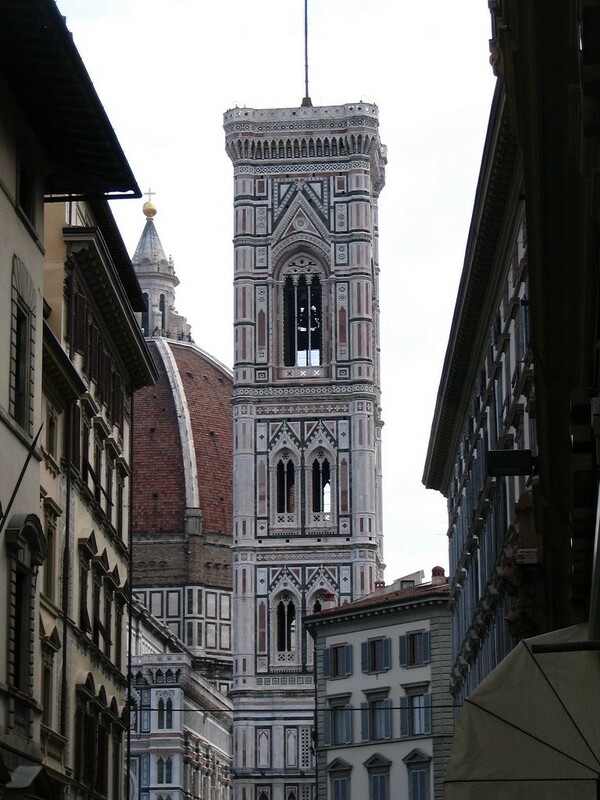 If you want to enjoy some of the most beautiful views of Florence then you will need to climb the 414 stairs to the top of this High Gothic gem. Believed to be set on an ancient Roman temple dedicated to the Roman god Mars, the Baptistry of San Giovanni is one of the oldest buildings in Florence. Walk through Lorenzo Ghiberti’s intricately carved bronze doors famously dubbed Gates of Paradise by Michelangelo. Inside, a well-loved highlight is the ceiling covered in beautiful frescoes. 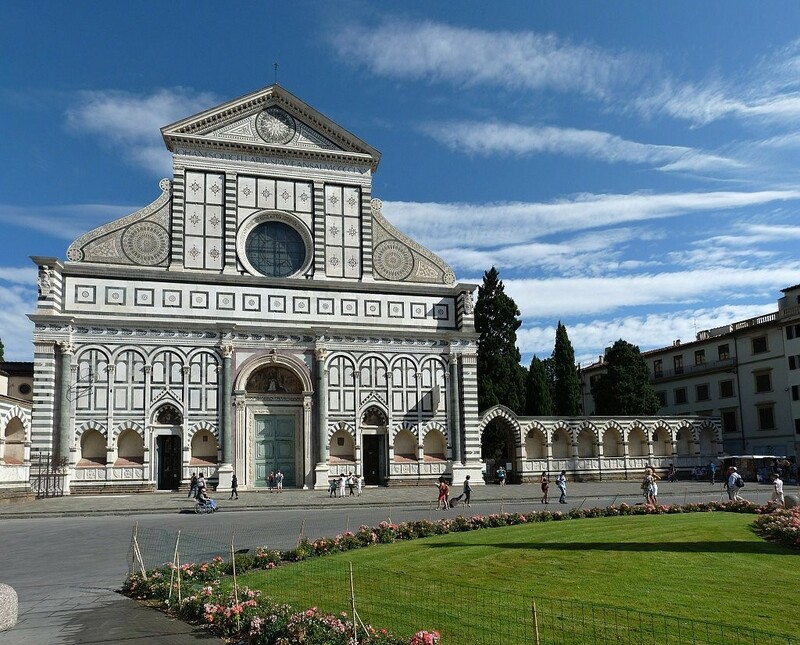 Once you came to Piazza San Giovanni where you admired Baptistery and Florence Cathedral, you will hardly miss another great tourist attraction here. The history of Loggia del Bigallo started in the 13th century and had several functions during its existence. You can learn more about it in the museum which is now located inside this beautiful building. 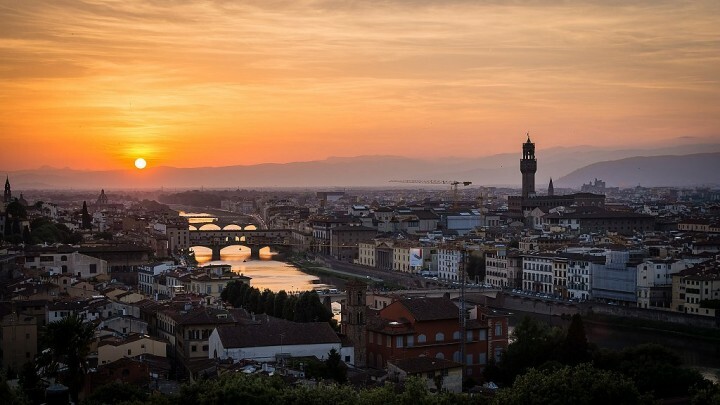 Another great spot to see Florence’s picture-perfect skyline is the Piazzale Michelangelo (Michelangelo Square). Nestled in the hills of Oltrarno, the plaza offers the best view of the city with a replica of David in the center. It’s accessible by foot or bus, and is great place to relax and admire the wonders of Italy. If you like taking pictures, visit this place during the sunset. Who wouldn’t know the most famous bridge in the world. There are rows of jewelry shops on the Ponte Vecchio (Old Bridge), but the true highlight is the breathtaking view at the end of the day. Sunsets by the bridge are truly a romantic affair. Join the flock of tourists in watching the sun go down past the River Arno from the centuries-old bridge. 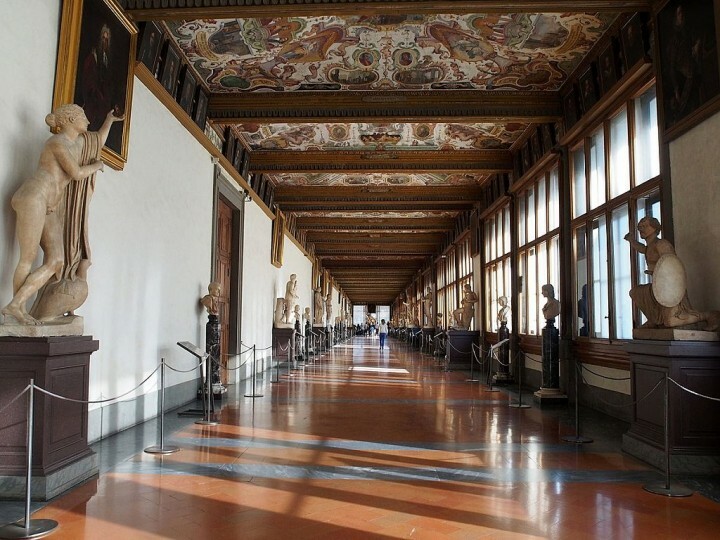 Uffizi Gallery is one of the most celebrated art museums in the world, housing the extraordinary works of almost all the major painters. Each turn reveals a masterpiece more sublime than the last. Get a glimpse of Sandro Botticelli’s Birth of Venus and Filippo Lippi’s Madonna and Child, as well as works from history’s most brilliant artists Cimabue, Rembrandt, Michelangelo and Leonardo Da Vinci. Take a break from Florence’s history, art and architecture to bask in the rich, bustling vibe of the city. Locals and tourists alike converge in the Piazza della Signoria at the heart of the city to relax with friends, enjoy a scoop of their favorite gelato and see the array of sculptures around the lively plaza. 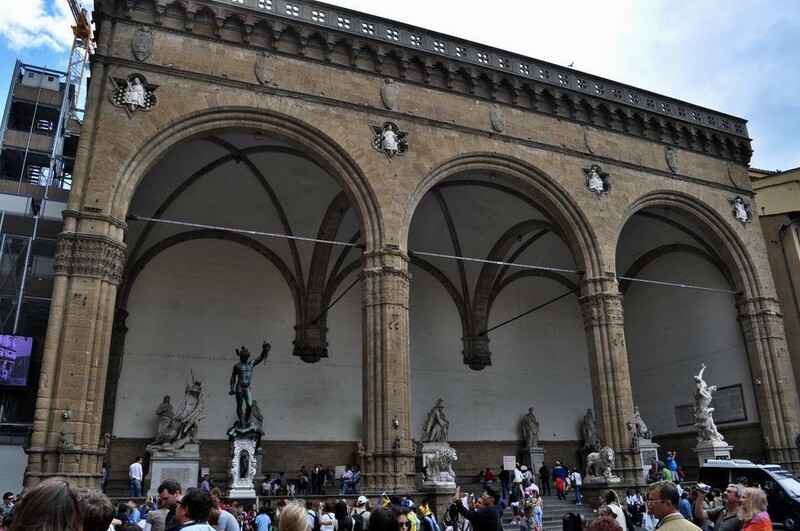 On Piazza della Signoria you will not miss an open hall building consisting of several styles. 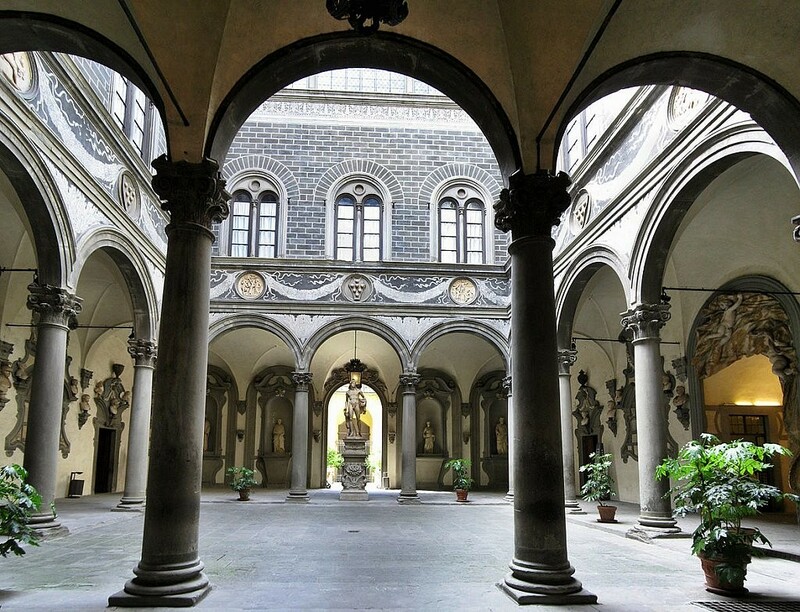 Known as Loggia dei Lanzi, it is a home to lot of amazing sculptures. Among the most famous statues is a statue of Perseus with the head of Medusa made by Benvenuto Cellini. 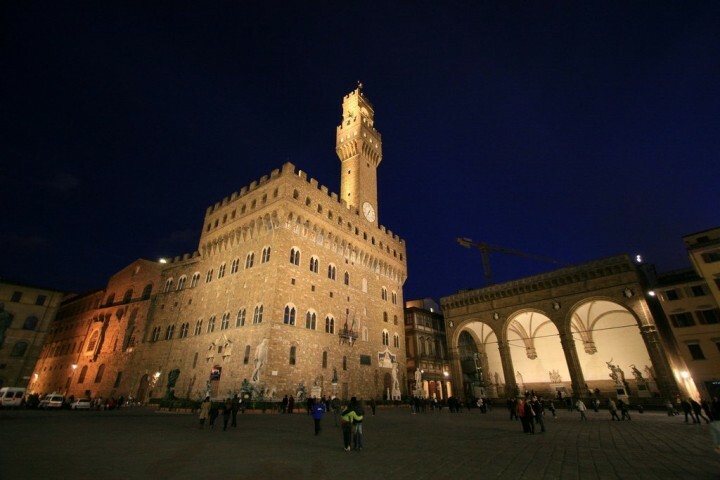 Palazzo Vecchio is one of the most important secular buildings in Florence. It was built according to plans by Arnolfo di Cambio, and its construction began in 1299. The entire palace now serves as a museum, known as the “Monumental Quarters“, where you can see e.g. famous and colorful hall of Salone dei Cinquecento. 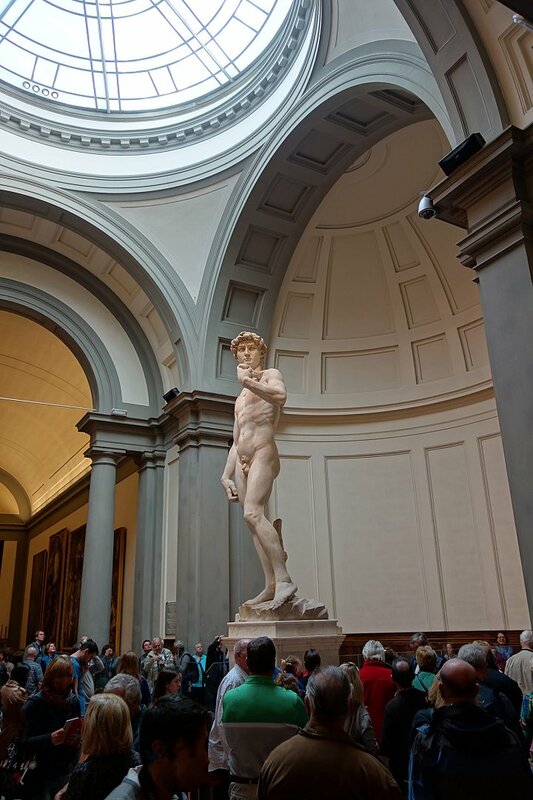 Chances are, you’re hoping to catch a glimpse of the (arguably) most famous sculpture in the world: Michelangelo’s David. It is truly a magnificent sight, but the Galleria dell’Accademia has incredible works of art beyond this single one such as Michelangelo’s other giant marble sculptures, paintings by Renaissance masters and more. 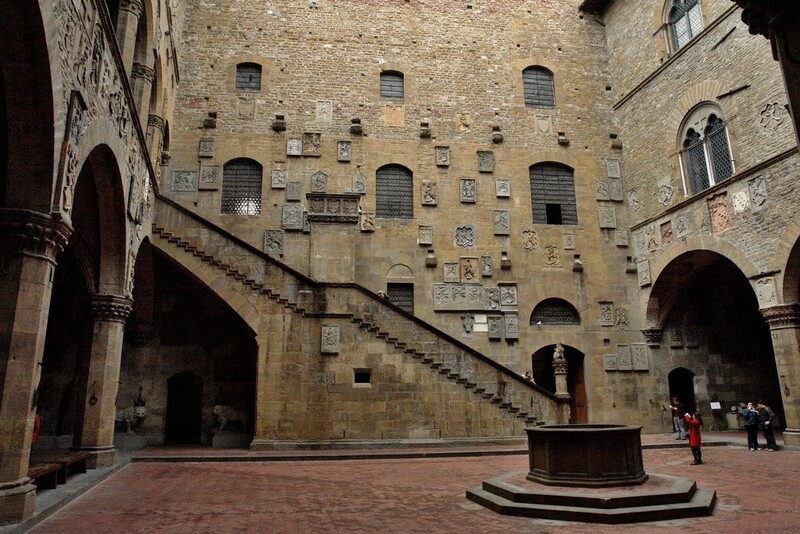 In the midst of Florence’s artistic concentration, the Bargello is the ultimate destination for tourists in search of the city’s most remarkable sculptures. The building was a prison in the 18th century, a heritage that only adds to the mystique of the grand museum. Wander through the grounds and see masterpieces by Donatello, Luca della Robbia, Verrocchio and more. Basilica of San Lorenzo is one of the largest churches in Florence. Located in the city center it is the final resting place of all the leading members of the Medici family. 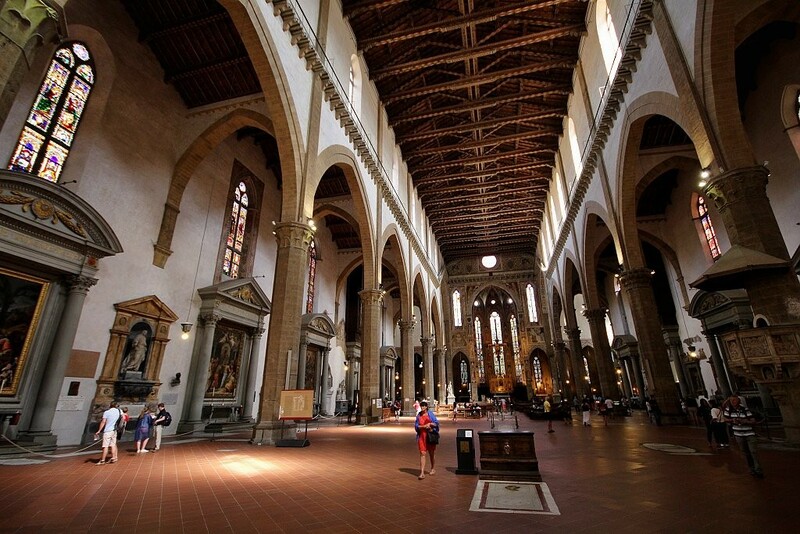 It is also the oldest church in Florence, built as early as 393, and for many years served as a cathedral. 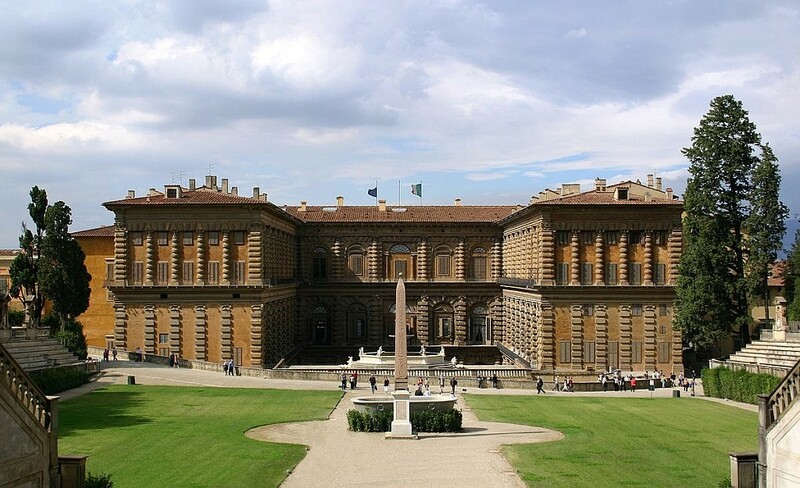 Palazzo Pitti is vast and majestic building, built in mid-15th century by Luca Pitti who was a great banker and big rival of Florentine Medici family. 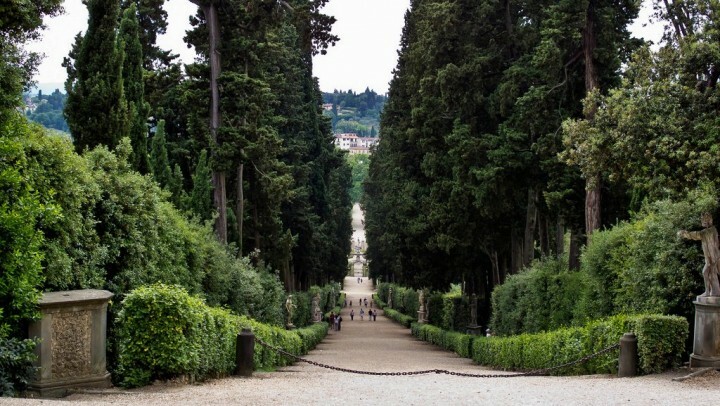 Stroll through the prettiest park in the entire city: the Boboli Gardens. The sprawling grounds behind the Pitti Palace used to belong to the powerful Medici family, and the quiet outdoor sanctuary offers a beautiful display of 16th to 18th century sculptures and a number of Roman antiquities. 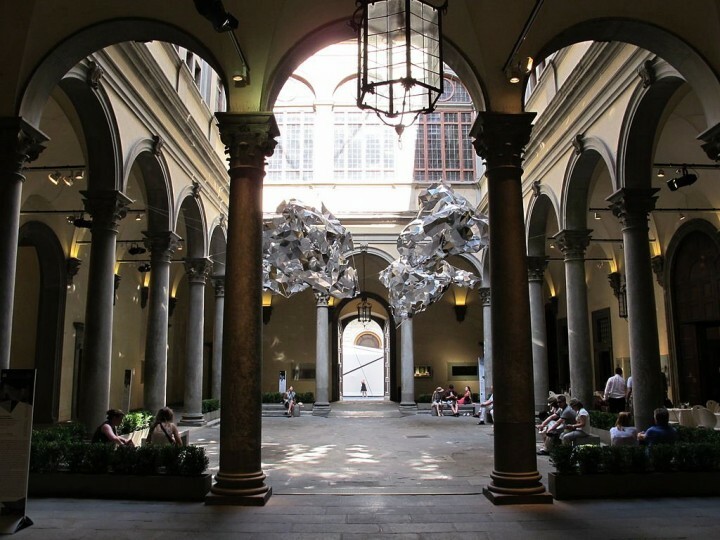 Florence is as much a center for shopping as for art and architecture. Flea markets are a treasure trove. Drop by the indoor Mercato Nuovo for a glimpse of Florence’s best deals, from leather goods to silk and gold. 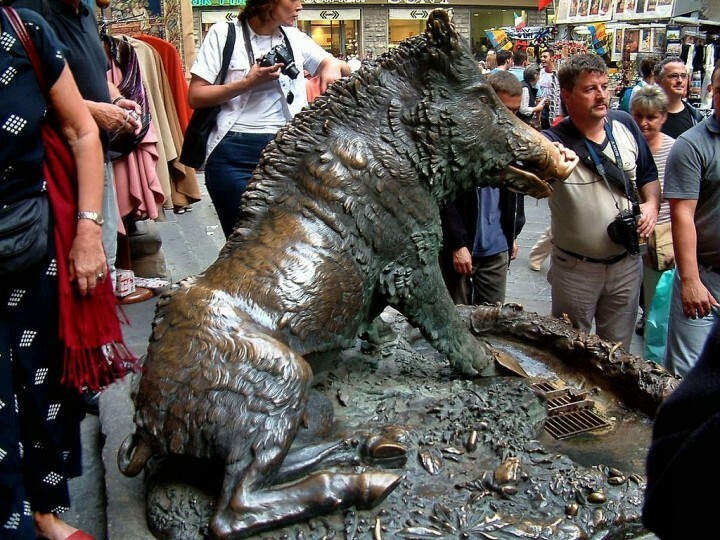 Don’t forget to follow tradition at the Il Porcellino fountain and rub the nose of the famous boar. 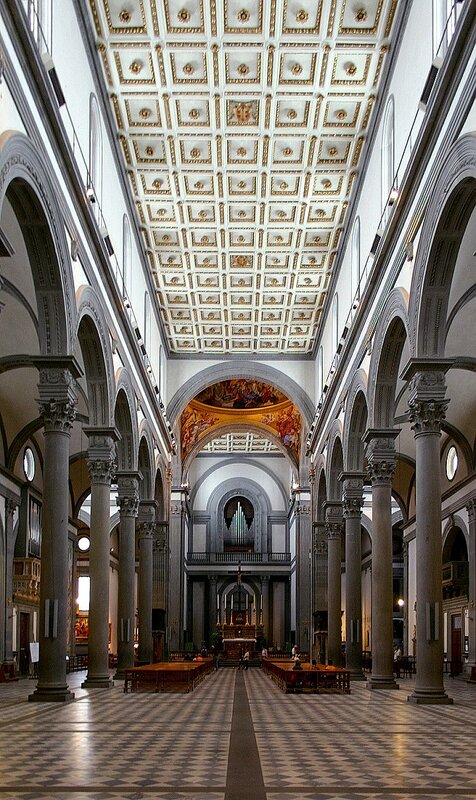 Basilica of Santa Maria Novella is the main Dominican church in Florence. The church represents a compromise between the French Gothic and Italian Renaissance. It was built in the 9th century and has since undergone a number of enhancements. The church has many valuable frescoes, beautiful glazed windows, is lined with white, green and pink marble. It has a beautiful Romanesque-Gothic bell tower and sacristy. There are several altars and chapels. The main chapel is located in the middle of the church behind the altar. 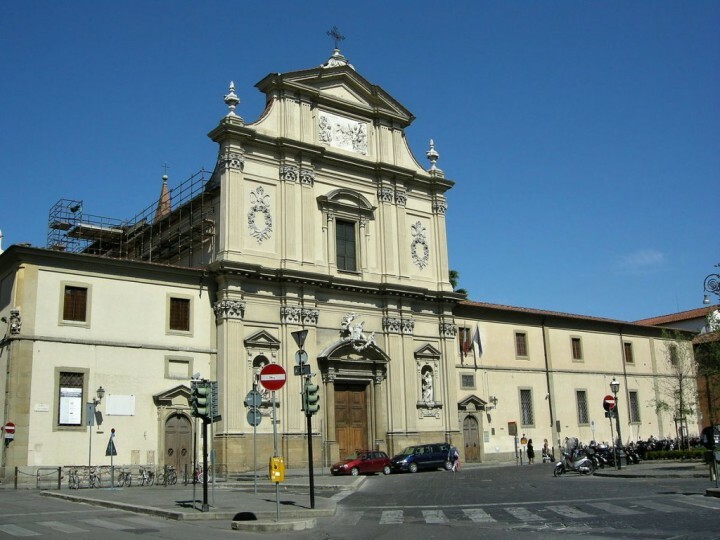 Famous Basilica of Santa Croce is located in the eastern part of the city of Florence. Santa Croce is a complex of museums, tombs and chapels. There are, for example, tombs of Michelangelo Buonarroti, Leonardo Bruni, Lorenzo Bartolini, Galileo Galilei, Ernico Fermi or Gioacchio Rosini. 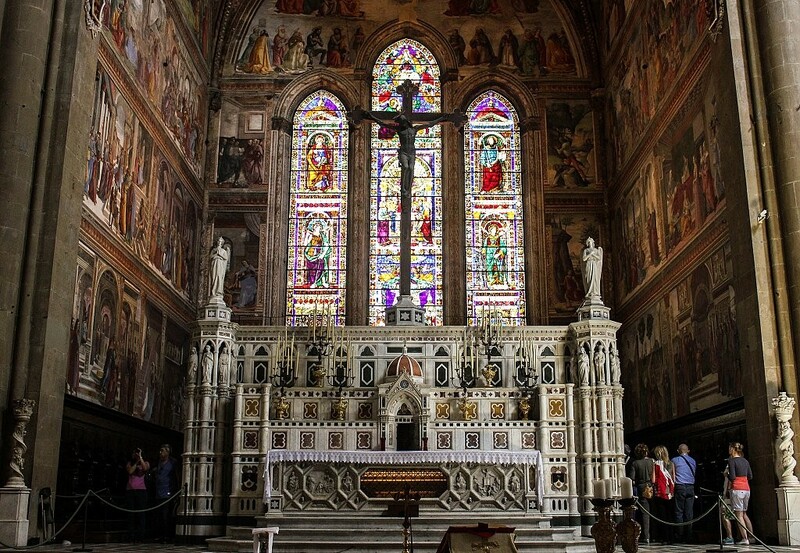 Medici family has its own chapel here. 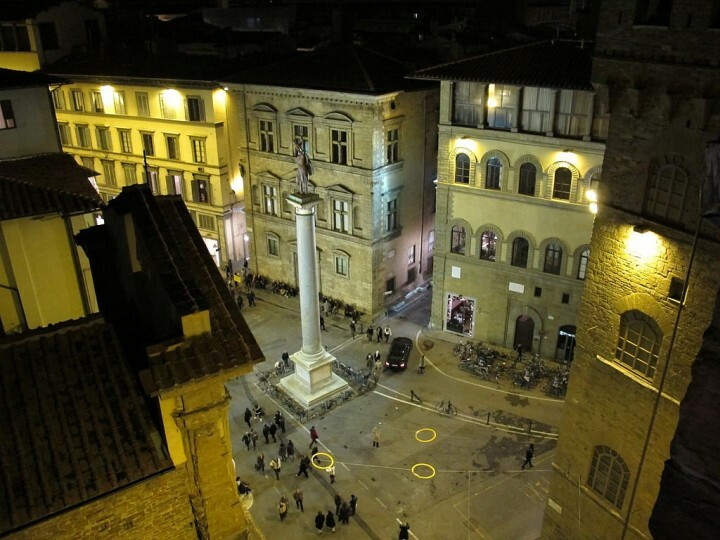 Since 1444 Piazza San Lorenzo has been featured by Renaissance palace Palazzo Medici. It was built according to plans by the renowned Italian architect Filippo Brunelleschi for the Florentine banker Cosimo de’ Medici. 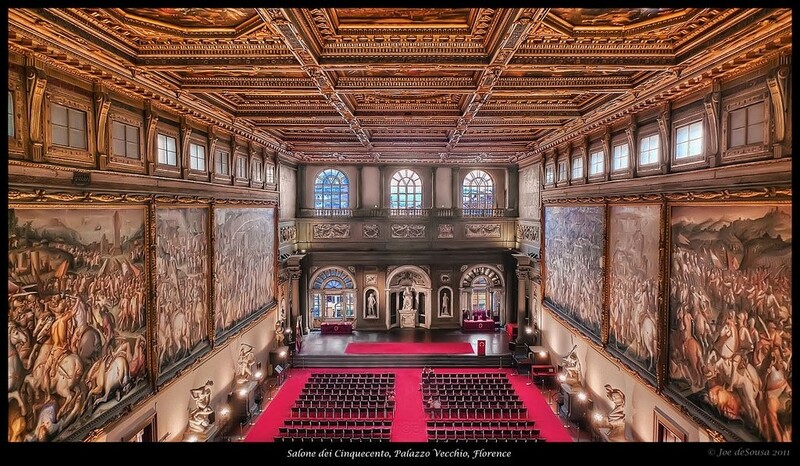 Also known as Palazzo Medici-Riccardi, it is one of the oldest Renaissance palaces of Florence. The biggest attraction of the palace is hidden in its chapel Cappella dei Magi which is decorated with a magnificent cycle of frescoes from 1460, created by Benozzo Gozzoli, talented pupil of Fra Angelico. These frescoes are considered one of the most beautiful works of art in Florence. This is the main reason why the chapel is now hot tourist spot in Florence. 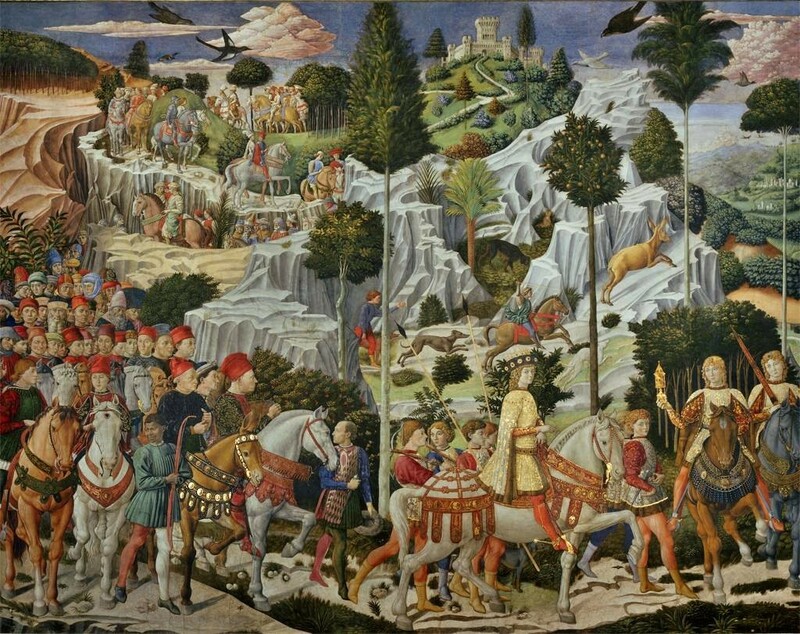 The noble family of Strozzi (translated as something like a Stranglers family) was once the richest family in Florence and later a big rival to Medici family. Their residence was Palazzo Strozzi – a typical Renaissance palace, designed by Benedetto da Maiano and built between 1489-1538. Piazza della Santissima Annunziata is definitely one of the most beautiful squares in Florence. You can find it in front of the church of the same name. 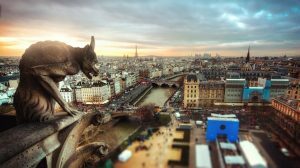 It is surrounded by buildings with amazing arches and with the equestrian statue of Ferdinand I de ‘Medici and two fountains standing on it. Renaissance church, Basilica della Santissima Annunziata was founded in the middle of the 13th century but was not completed before 1481. 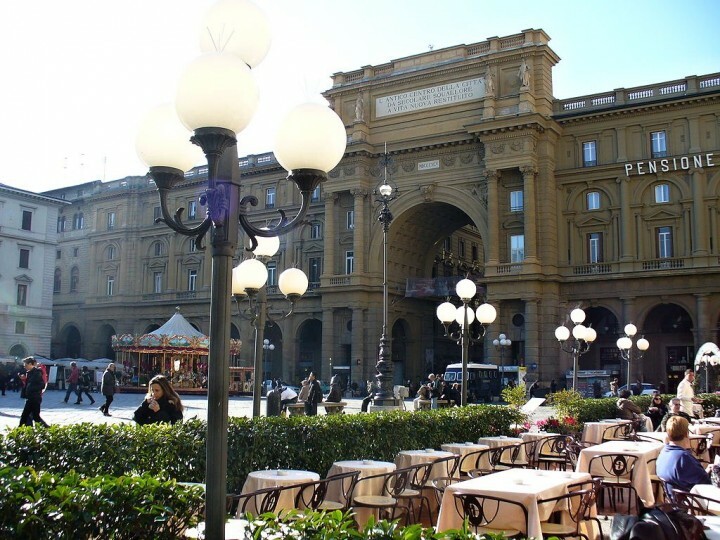 Piazza della Repubblica is one of the main squares in Florence, and since Roman times it is the center of the city. 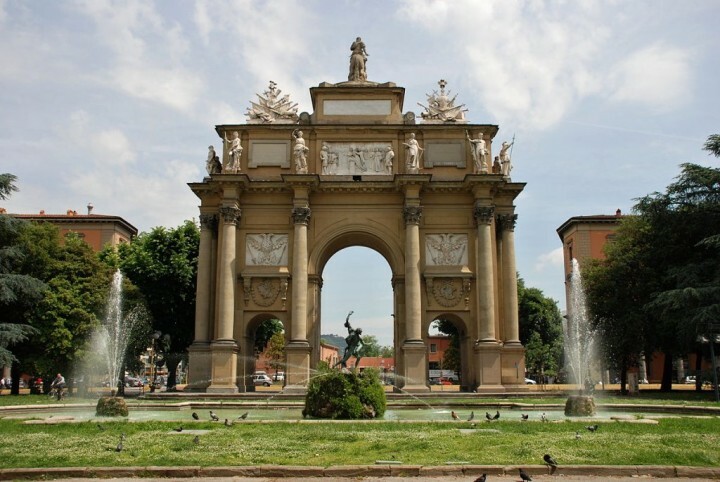 The square is dominated by the triumphal arch, called Arcone. There are three famous historic cafes Caffè Gilli, Caffè Paszkowski and Caffè Giubbe Rosse where many artists and writers from various cities used to meet in the past. Piazza dei Ciompi is another amazing square in Florence. It is popular mainly thanks to one great monument from 16th century that stands here. 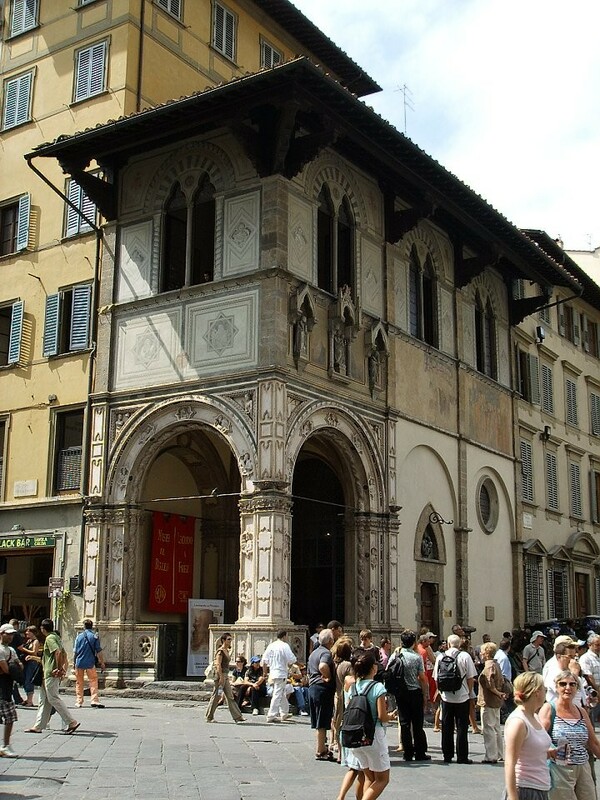 It is Loggia del Pesce and has been moved here from Piazza della Repubblica. 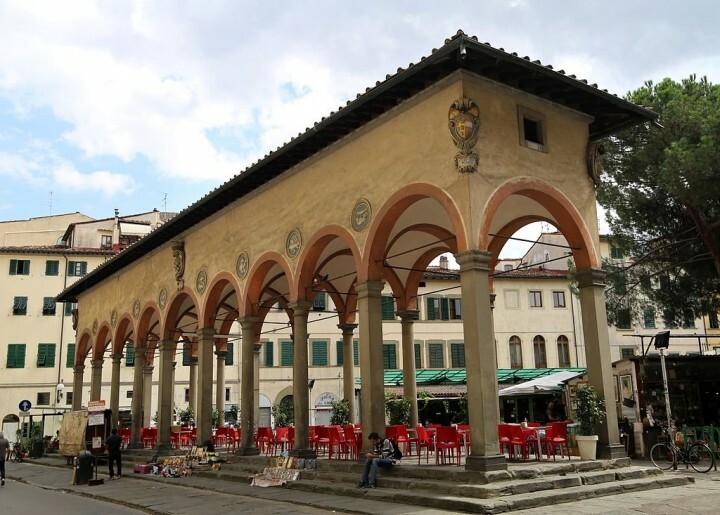 Piazza d’Azeglio is a square that is absolutely different from all other in Florence. It is full of trees, flowers, playgrounds and other fun attractions for kids. 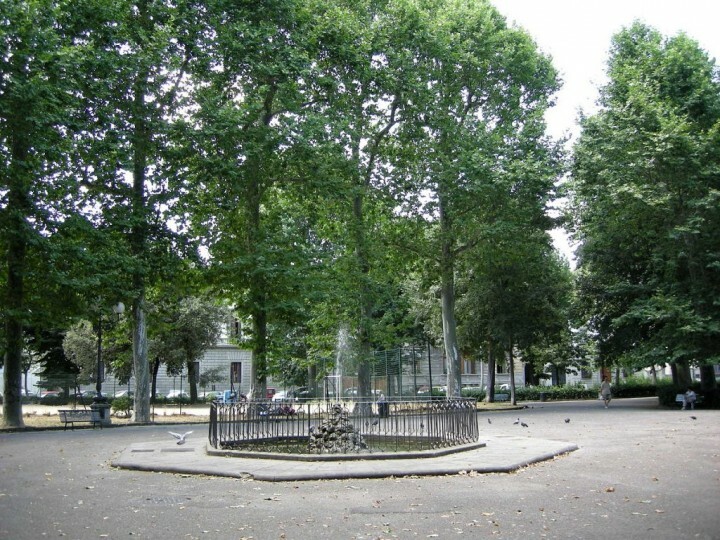 In the past it served as a garden to the residents living around this square. Piazza della Libertà is interesting square that is famous for two main structures. One of them is the Triumphal Arch of the Lorraine which was built in 18th century to welcome the arrival of the Habsburg-Lorraine family. 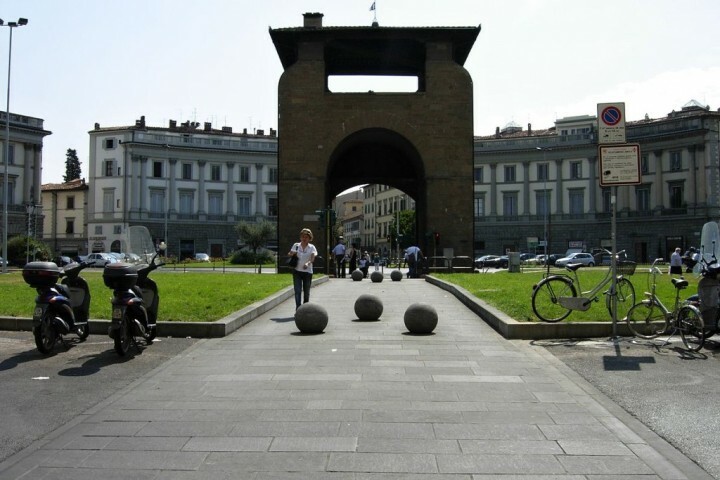 Another one is Porta San Gallo, a gate that dates back to the 14th century. It is here where you will find Santa Trinita Church after which the square is named. In the middle you can see the Column of Justice which was brought here from Roman Baths of Caracalla as a present of Pope Pius IV for Cosimo I.
Piazza Santa Trinita is further surrounded by magnificent palaces dating back to the 14th to 15th centuries. These are Palazzo Spini-Ferroni, Palazzo Minerbetti, Palazzo Bartolini Salimbeni and Palazzo Buondelmonti. Dominican church and monastery of San Marco were built back in the 15th century. Now there is a museum and if you are an art lover then you simply have to visit the museum of San Marco. Florence is a walled city and you will find these medieval walls all around the city. 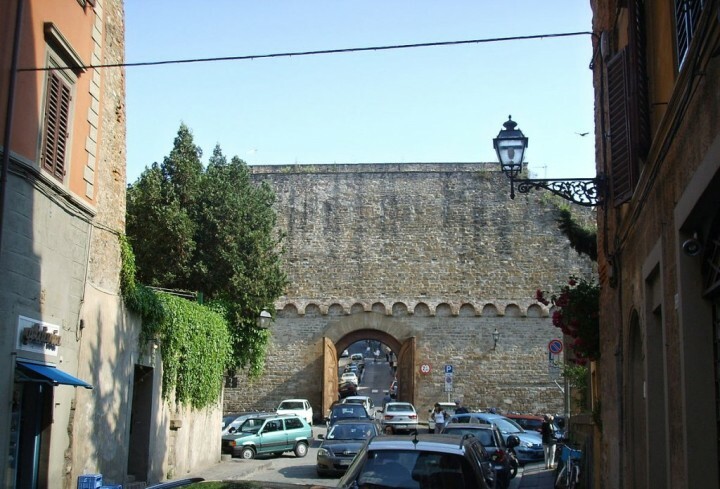 Porta San Miniato is one of the gates built in the 13th century. 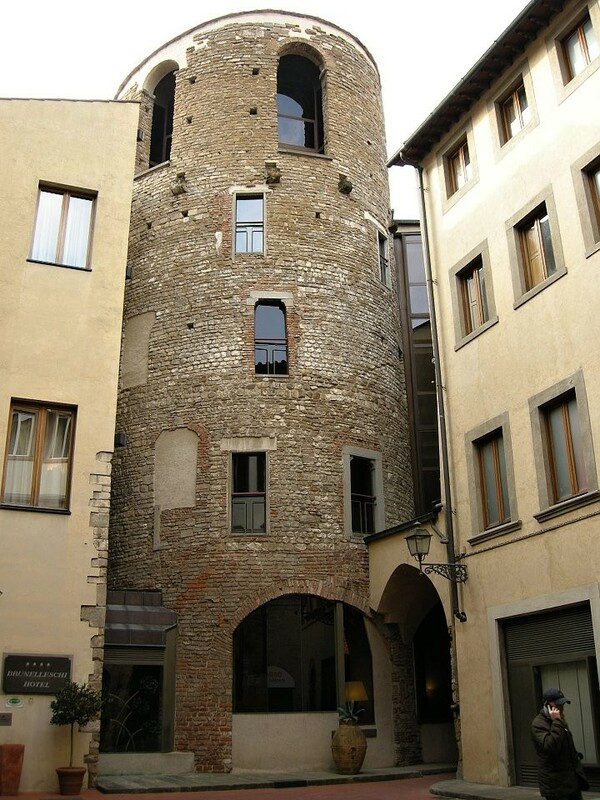 One of the oldest buildings in Florence that has preserved its original appearance up to these days is Tower of Pagliazza. Built between the 6th and the 7th centuries, the tower is situated on the small square piazza Sant’Elisabetta right in the heart of the city center. Porta alla Croce is a main landmark of a circular square Piazza Beccaria standing right in its middle. There are no walls around only gate is what remained here as a memorial. Oh, that’s all? Of course, NOT! These are just few of countless sights to see in Florence. Tell me below in the comments what did you like the most during your visit in Florence! Is there anything I forgot to add here on the list? 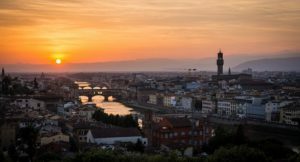 How to get to Florence ? 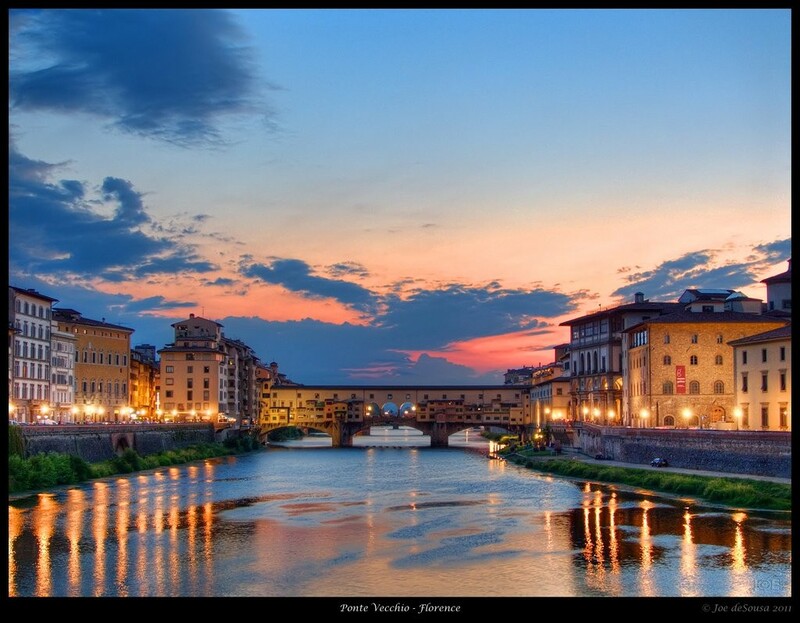 To get to Florence, you can search on our partner’s website Skyscanner. For the accommodation in Florence, everything depends on the atmosphere of your stay and the district where you will stay: a romantic weekend? With friends? For partying? From the youth hostel to the charming hotel in the city centre, you will find exactly what you need on this hotel aggregator. Hey, Julius Szabo, an amazing blog with great pictures! I really want to visit “Santa Maria del Fiore”. It’s my favorite! Florence is very beautiful city. One of my favorite cities in Italy with Piazzale Michelangelo as one of my favorite spots within it. I first went there in the 1980’s and it never once let me down. Florence looks lovely! Usually see photos of Rome or Venice instead. I wonder if the crowds are smaller? I would like to go to the Parma area…that is where my family is from originally. Amazingly, we have yet to visit Italy, perhaps because we subconsciously know we’d spend our entire 90 day Schengen allotment there. This post proves we could spend the entire allotment in Florence alone! 🙂 Haha, that’s good comment. I think that you really could spend all of your 90 days here in Florence, however it should be enough for a fast round trip through all of Italy. Great photos! We chose Naples/Amalfi Coast over Florence recently – we don’t regret it but definitely need to get to Florence at some point! That Palazzo Medici looks amazing. I wish I had seen this before I’d been to Florence! That’s right, Shanti, Palazzo Medici is one of the best museums worth visiting in Italy!